Mary Engelbreit scottie dogs salt & pepper shaker set measure approximately 2"H. !! 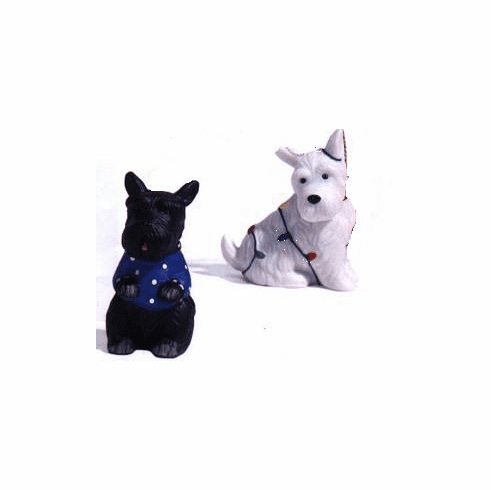 PLEASE NOTE THAT THE WHITE SCOTTIE DOG IS PICTURED WITH CHRISTMAS LIGHTS AND THERE ARE NO CHRISTMAS LIGHTS ON THE SCOTTIE DOG IN THE SALT & PEPPER SET! !